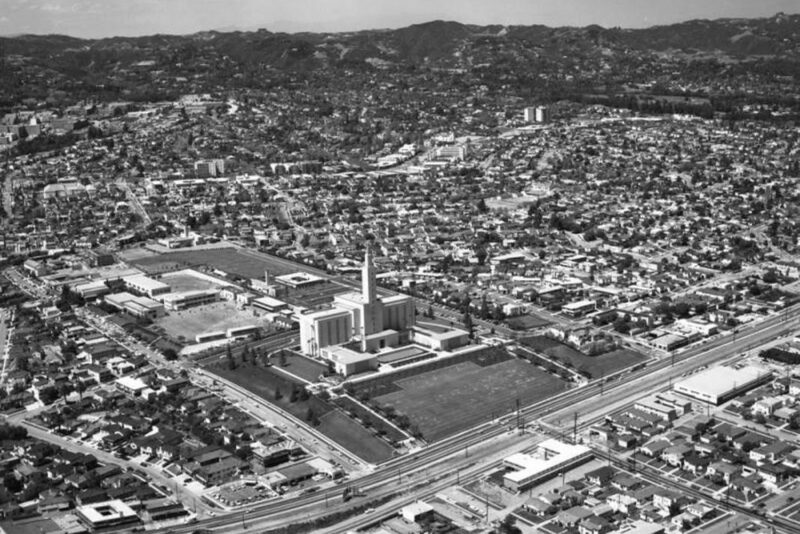 Why Does the Mormon Temple on Santa Monica Have So Much Land? Home Ask Chris Why Does the Mormon Temple on Santa Monica Have So Much Land? The million-square-foot lot is half the size of the remote scrub parcel silent-film comedian Harold Lloyd bought for a movie ranch in the 1920s. He sold it in 1937, and planning began for a temple that would serve the entire state (before other temples came online). Although the edifice facing Santa Monica Boulevard is reserved for what a church elder describes as a “special worship experience” available only to select members, the grounds, visitor center, and genealogy library are open to the public. RELATED: Is It True That Scream Therapy Originated in L.A.?